While human rights have been enjoying unprecedented salience, the concept of the citizen has been significantly challenged. Rising ethical concerns, the calling into question of state sovereignty, and the consolidation of the human rights regime, have all contributed to a shift in focus: from an exclusionary, problematic citizenship to human rights. Human Rights or Citizenship? examines this shift and explores its implications for democracy. In an accessible way, the book explores the arguments within contemporary democratic theory that privilege law and legally codified human rights over citizenship; questioning whether legalism alone could lead us to a better, more equitable politics. Does the prioritisation of law and legally codified human rights risk depoliticisation? Do human rights always contest relations of power and subordination? 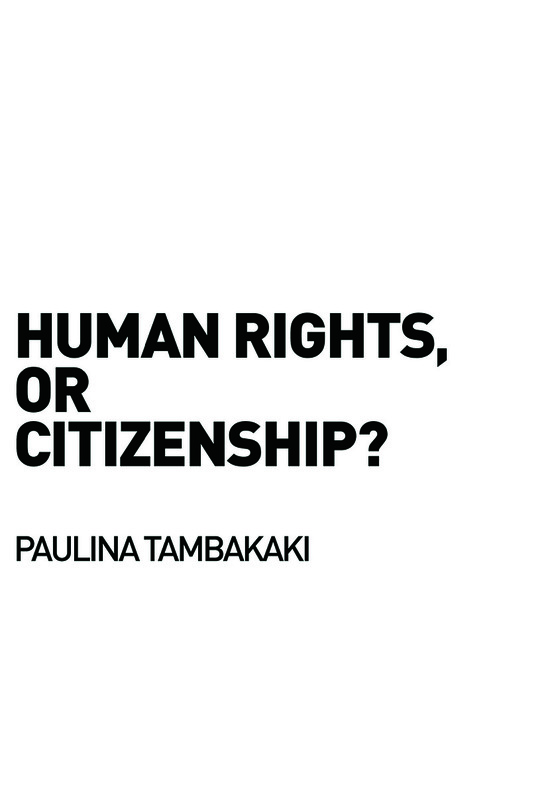 Addressing these questions, Human Rights or Citizenship? opens a debate about the role of citizenship and human rights in democracy. It will be invaluable reading for anyone interested in democratic politics today.